AGENT OWNER. Completely remodeled 3 bedroom, 2 bath home in College Park Subdivision. Home sits on a corner lot with a fenced yard. 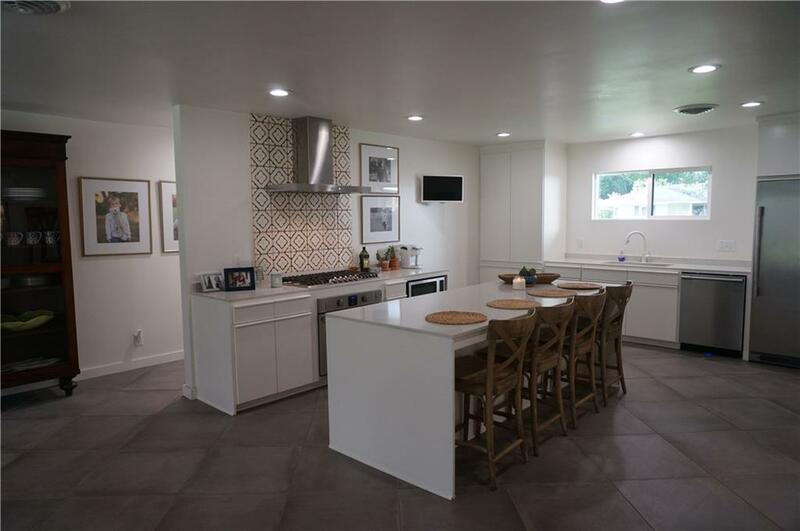 Remodel includes all new windows and doors, new consistent flooring and recessed lighting throughout, brand new kitchen with custom cabinets, hand painted tile backsplash, quartz countertops and new appliances, completely remodeled bathrooms, and one of the two HVAC units replaced. Home has two large open living areas, one with a vaulted ceiling and the other with a brick fireplace. Wall of large, sliding-glass doors look onto back patio and yard.